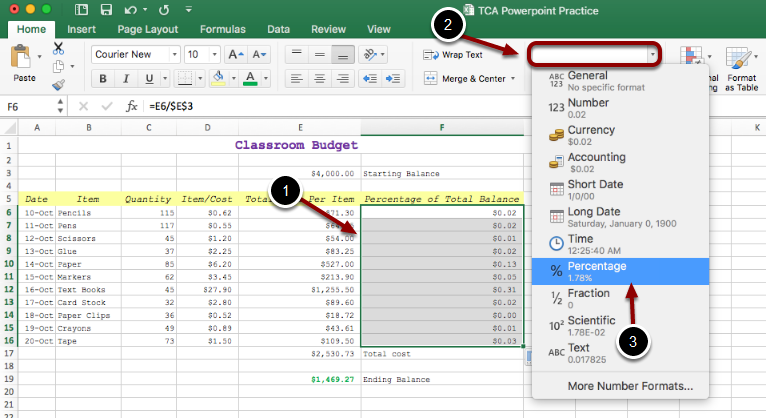 EdTech Help GuidesED206 Excel TCAHow Do I Change Data And Decimal Places? 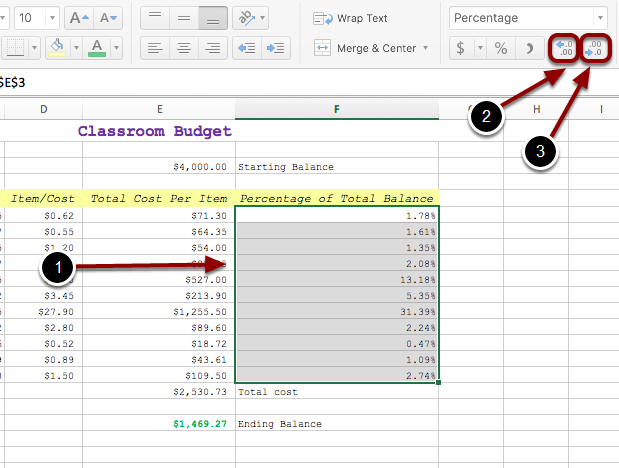 Below are instructions on how to edit cell data to show percentages, as well as how to format decimal percision. 2. Select this icon to add more digits after the decimal point. 3. Select this icon to remove digits after the decimal point. Prev: How Do I Complete Formulas And Functions? Next: How Do I Add Borders On Excel?